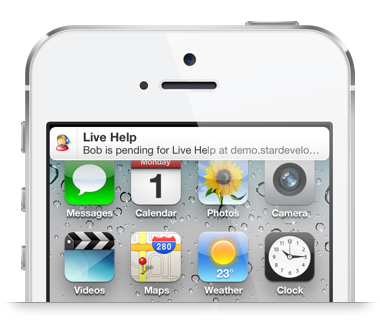 Live chat while you are on-the-go or away from your desk using our Chatstack iPhone app. 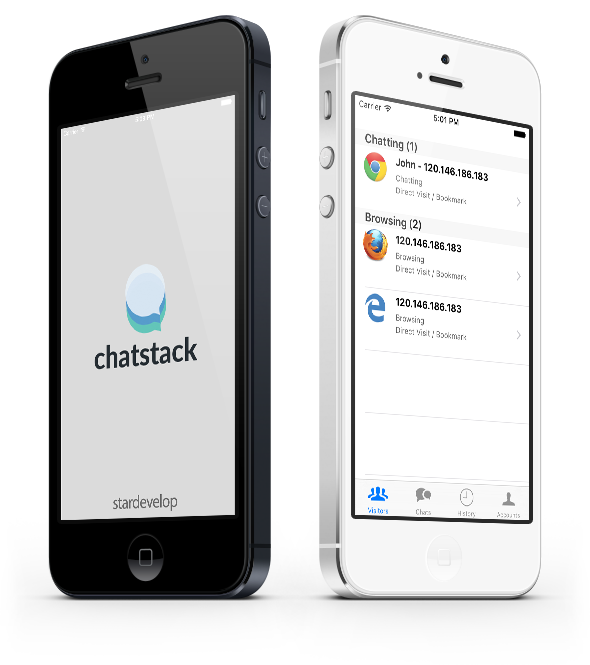 The Chatstack iPhone App allows you to accept chat requests and monitor your browsing web site visitors. You are able to see who is currently browsing your web site and accept incoming chat requests from your web site visitors right on your iPhone in your pocket. Chatstack also allows you to view chat history and manage operator accounts. The Chatstack iPhone app allows you to receive notifications for incoming chat requests and new chat messages when you don't have the iPhone app open. We support Apple Push Notifications through the iPhone Notification Center so you don't miss important conversations with your customers (Requires Chatstack Server Software v3.80 or above). Live chat away from your desk! We offer both Android and iPhone apps so that your operators can chat with customers when they are on the road. Our iPhone app is sold separately within the iPhone App Store. 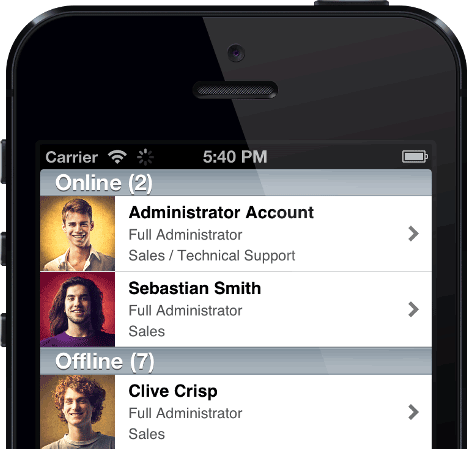 The Chatstack iPhone app allows you to manage your operator accounts while you are on-the-go. Easily update accounts while you are away from your office and check your operators are providing awesome customer service to your customers. The Chatstack iPhone App is available for purchase in the iPhone App Store from US$9.99 (approx. 9,99€, £7.99 and AU$14.99). Updates to the app are delivered for free through the App Store.